The Průhonice Castle is not open for public as the Institute of Botany resides here. Only the ground floor exhibition areas are publicly accessible. 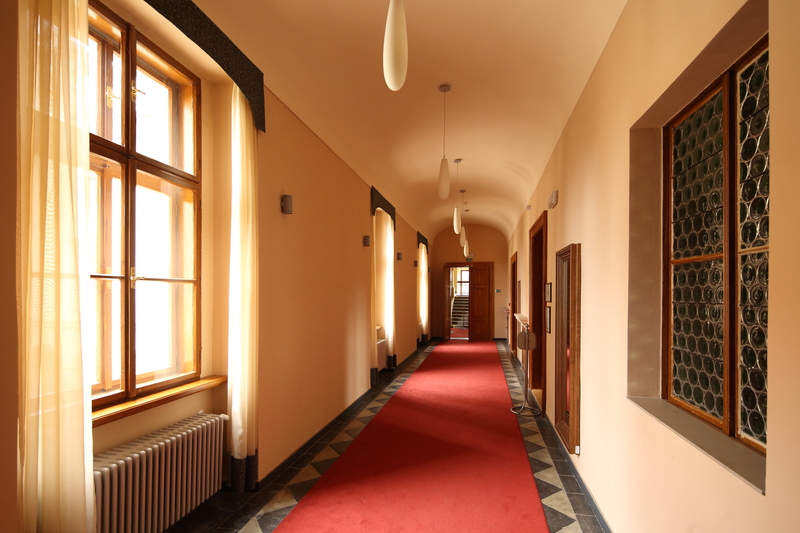 On the first floor of the Great Castle, a conference center is located. 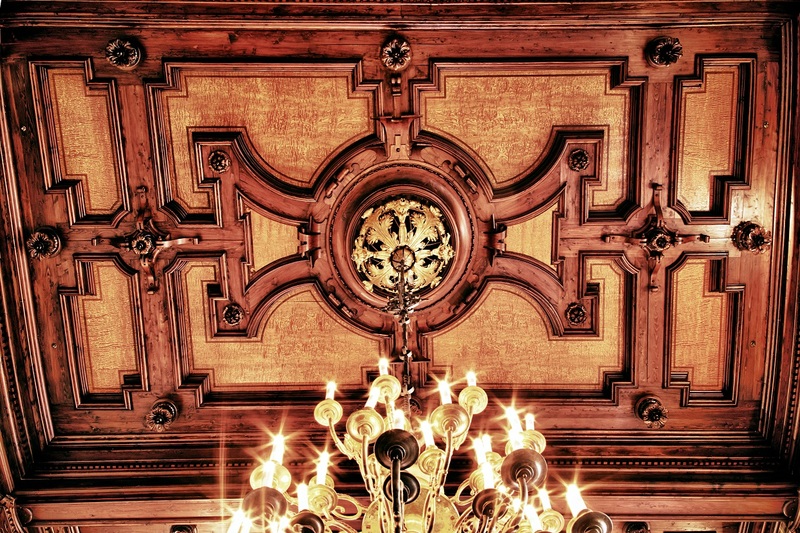 We offer our clients stylish and renovated historical halls and rooms, fitted with presentational technology and an internet connection to a wireless network. 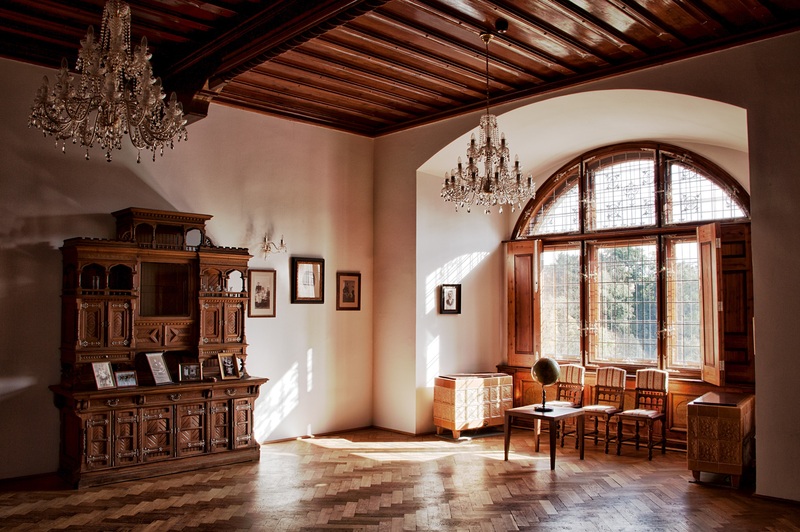 Alternatively, we offer leisure activities in the castle park, social events at the Castle and outside it, romantic surroundings of Czech new renaissance, catering directly in the Castle halls, and if needed, accommodation and food in nearby hotels and restaurants. 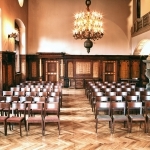 The center is ideal for events with up to 100 guests. 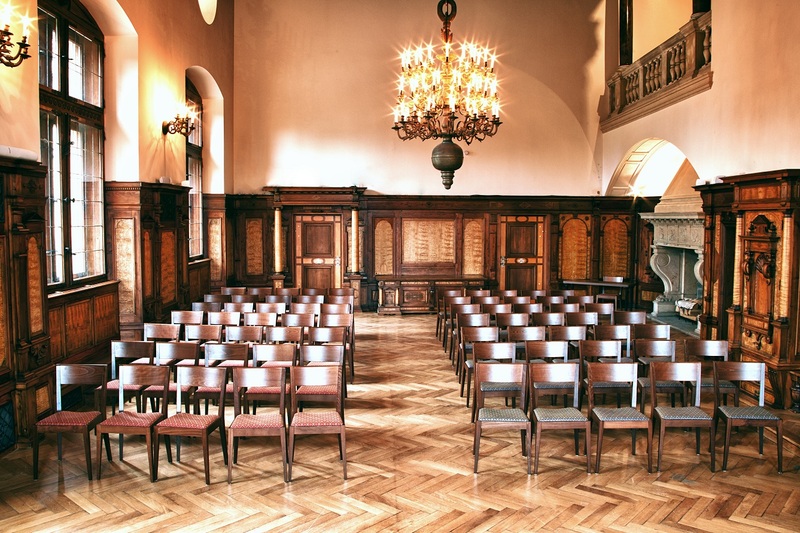 Each event can be organized in multiple halls so that apart from lectures for a bigger audience, simultaneously small workshops, separate meetings and consultations can be held. 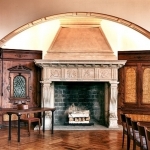 Due to its layout, the Knights Hall allows for the organization of social nights with live music and dancing, while adjacent rooms can be used for an additional program or as a relaxation zone. For longer events or as an addition to the program, you will surely welcome the possibility to relax in the world-known Průhonice Park, filled with both native and exotic trees, shrubs and other plants. The largest room of the Castle is the historical Knights Hall. 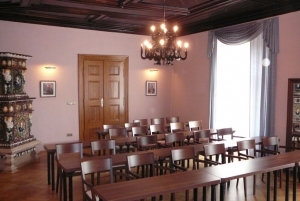 It is suitable for social or business events, conferences and other events for roughly 100 guests. 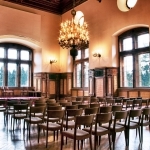 To suit the purpose of conferences, it is fitted with audio and visual technology, a wi-fi connection and a projection screen. 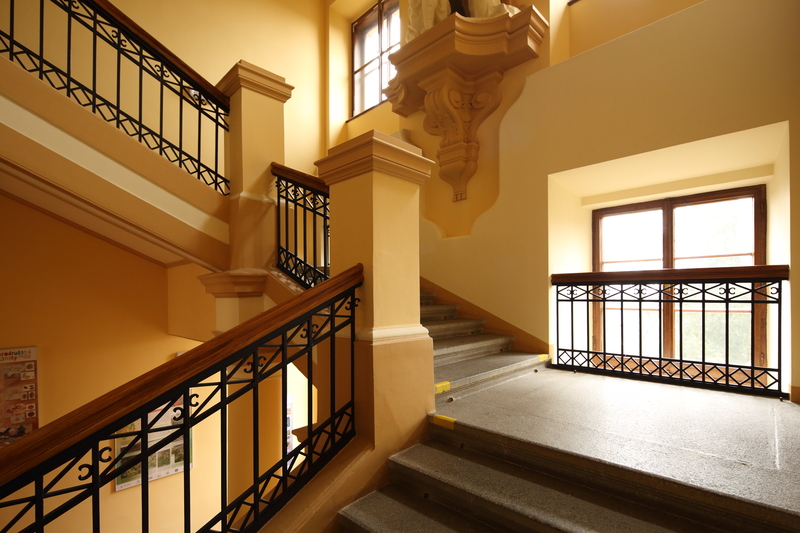 Social events may use the stylish balcony for a smaller musical accompaniment. A sufficient amount of large and small tables, armchairs and chairs allows a variety of layouts for a range of purposes. 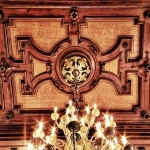 The whole room, including the ceiling, is lined with wood and decorated with wooden carvings. 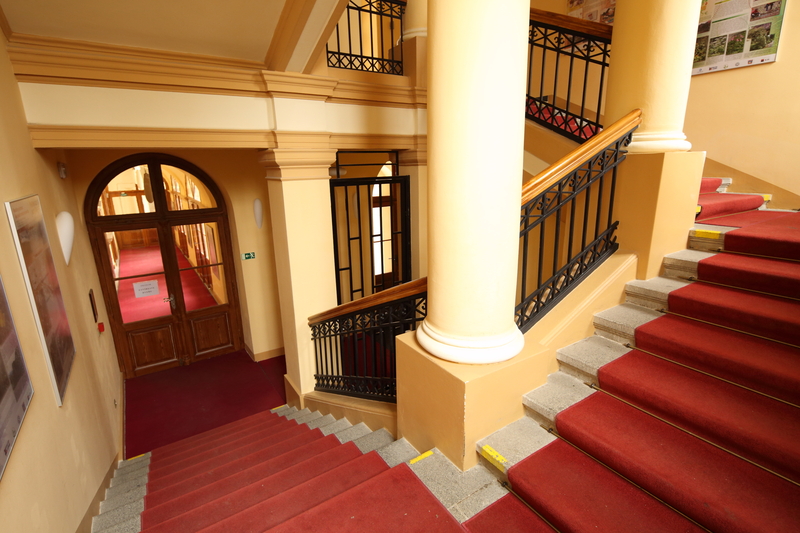 Three entrances lead to the Hall. 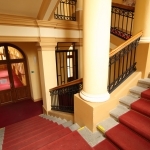 The main entrance from the corridor, side entrance from the Blue room (suitable for the backstage of events, small buffet, preparation of performers, etc.) and a side entrance leading to the staircase and out the Castle. 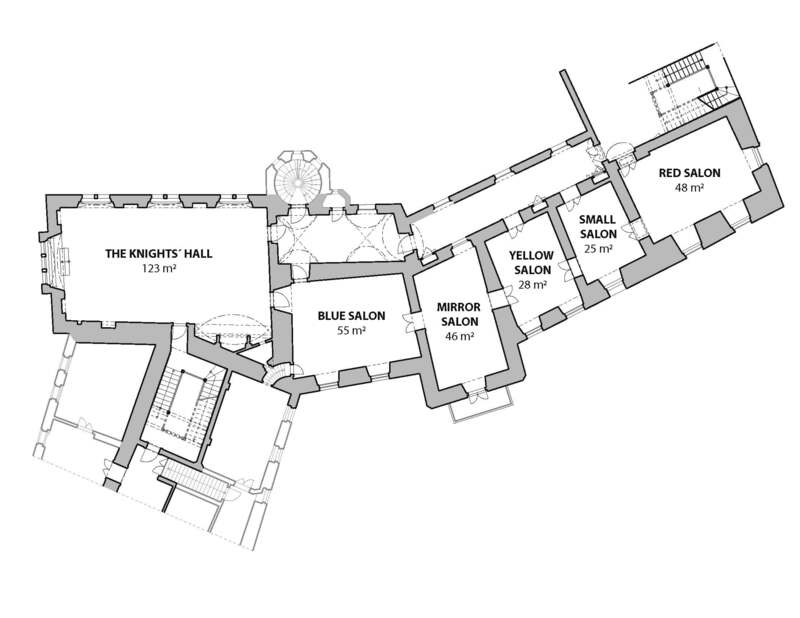 The second largest room of the Castle is the Blue room, which is, along with the Mirror room, an ideal backstage setting for events held in the Knights Hall, but can also be used separately for smaller events. It is decorated with wooden lining and with an area of 55 m2, the Blue room is ideal for events for up to 40 guests. 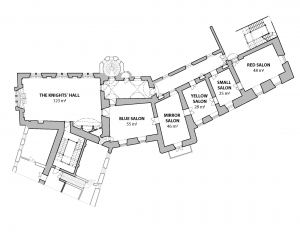 Four entrances lead to the Blue room – a technics entrance used for the moving of furniture, an entrance from the Mirror room, an entrance from the main corridor and finally the entrance from the Knights Hall. The Blue room is also fitted with audio and visual technology, and tables, chairs or armchairs can be arranged in it, according to the wishes of the client. The Mirror room is a smaller room, accessible from the Blue room and the adjacent Yellow room. 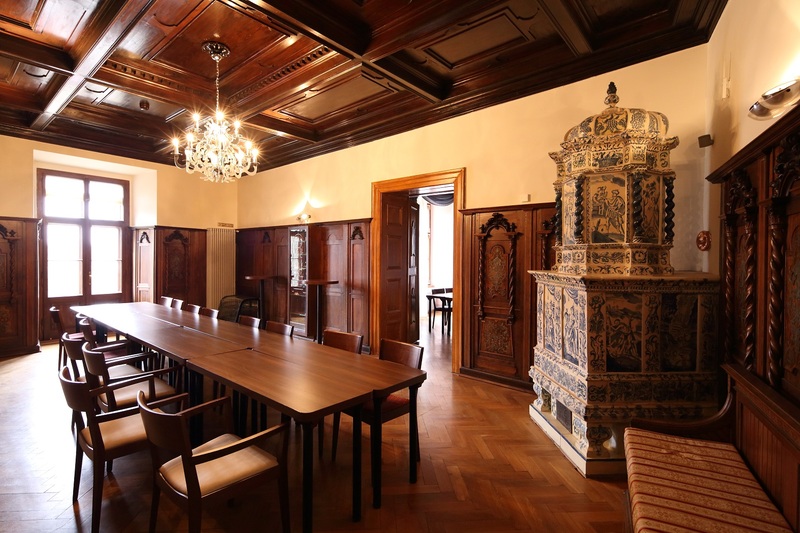 It is richly decorated with wooden linings with iron inlays, and usually serves as a meeting room or as a quite corner for various administrative activities. 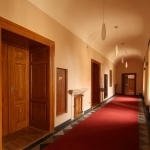 The Yellow room is a small room with a separate entrance from the corridor, connectible with adjacent rooms and suitable for separate meetings or as a part of a larger connected area for bigger events. As the name suggests, the Small room is the smallest of the Castle. 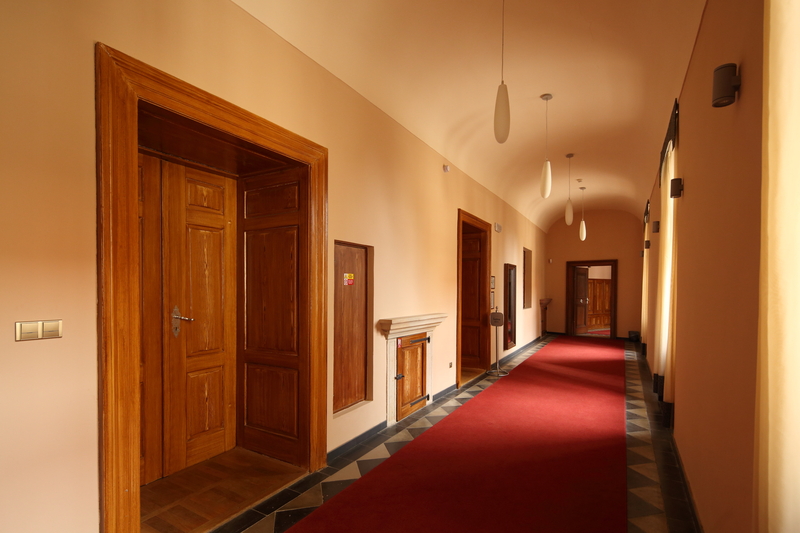 Its location and entrance from the corridor or Red room make it suitable to use as a cloak room, catering storage room or as a backroom for the service staff. 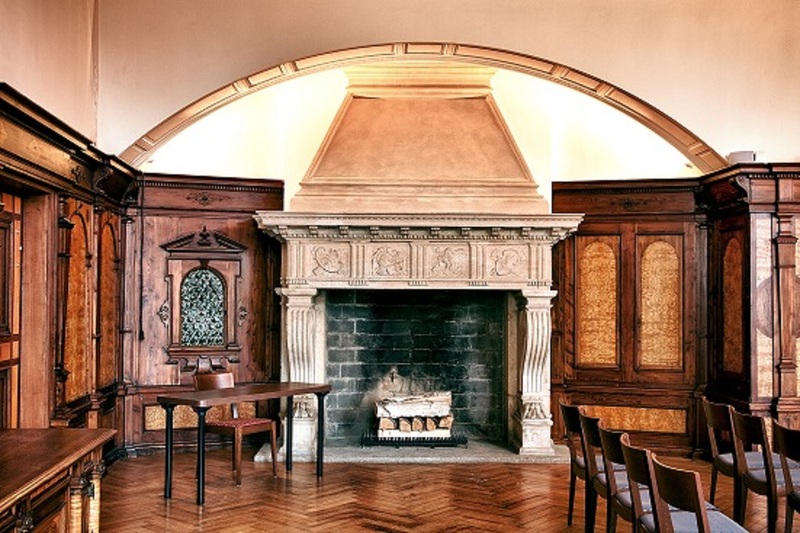 Count Tarouca’s Bureau is a room separately accessible straight from the Inner Courtyard and with a magnificent view of the Park and the lake. 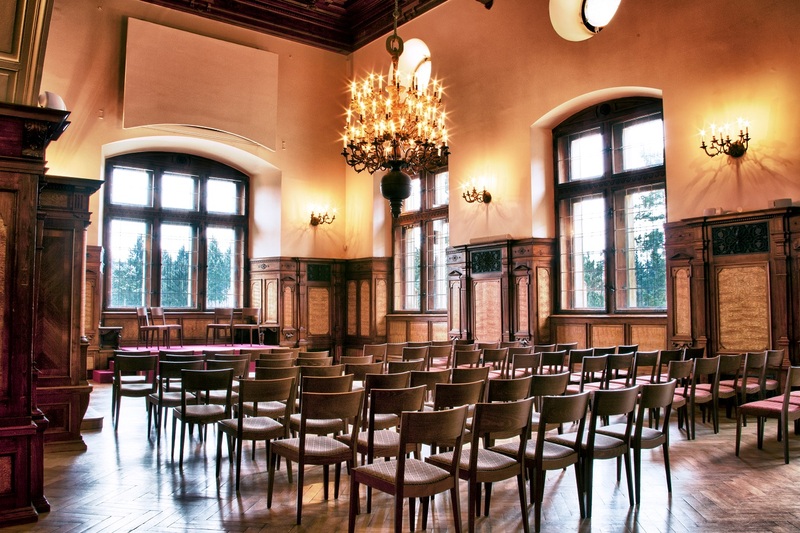 It is partially fitted with historical furniture and can be used for wedding ceremonies with a smaller number of guests or for smaller business meetings (for up to 16 guests). Do not hesitate to contact us, we will advise you on the best option suitable for you.